It seems like kids live in anticipation of Christmas and birthdays, the only two holidays that’s promise a great number of presents and a variety of fun celebrations! Depending on the time of the year, organizing the birthday party might create certain challenges. In winter months, the weather here is so unpredictable, having an outdoor party or even guest not attending due to poor traveling conditions may become challenges. In the Summer months, the “not the heat, it’s the humidity” prevail with typical New England weather. Most parents prefer to host their children’s parties at an indoor facility that specialized in certain events, and most importantly, take care of all the set up and clean up! 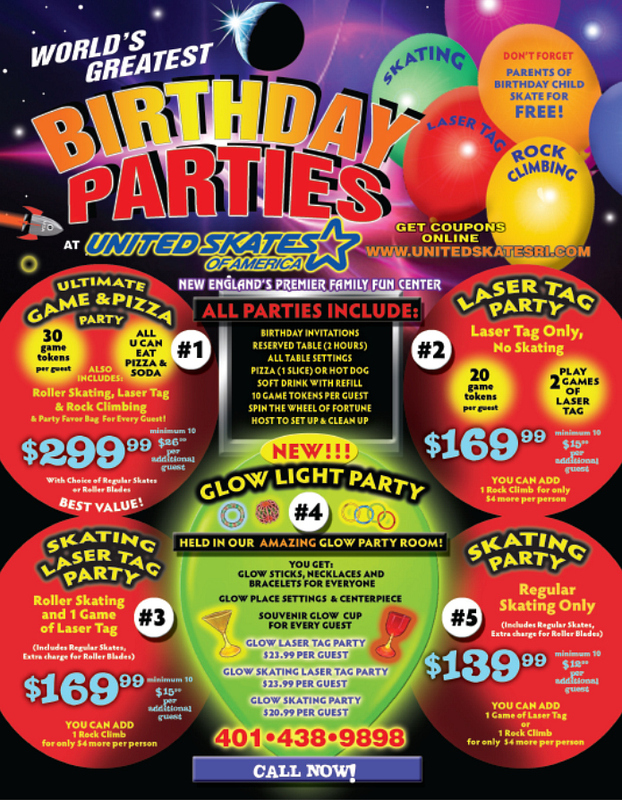 Every year, anticipation builds and expectations rise to have the best birthday party ever! 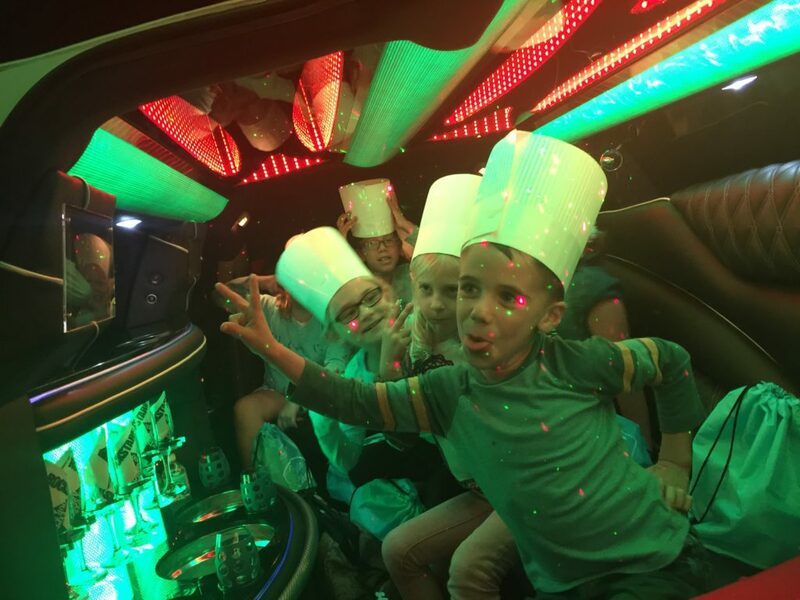 That is why ROCKSTAR LIMO has come up with some creative and unique birthday party experiences for your children’s birthday party, making it an event that everyone will talk about for years to come! 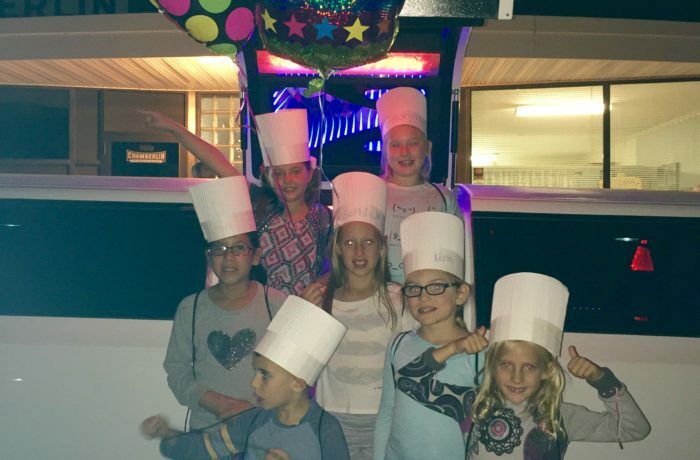 Take a look at the following ROCKSTAR birthday parties, as we partner with local companies here in Rhode Island and South Eastern Massachusetts to not only keep local business local, but more importantly to give you, your children and your guests THE BEST BIRTHDAY PARTY EVER! Birthday candles, drinks, plates, utensils, etc. all supplied! What’s more fun than baking with your best friends? 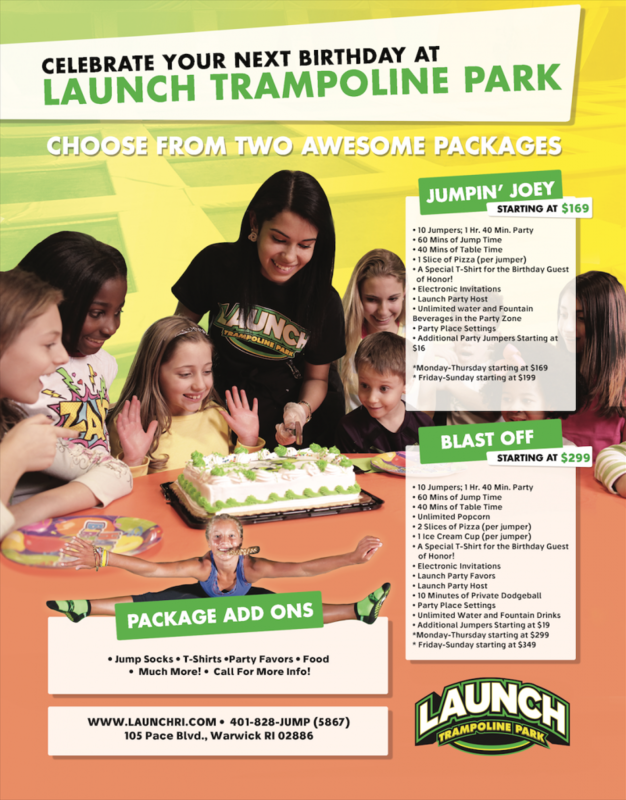 Packages for Up to 12 Children Ages 4 & Up. Children will prepare their own party desserts from scratch. This recipe is a favorite and because there is no portioning of dough, it is perfect for our “wee” chefs! Kids mix up cookies from scratch, the size of pizza pans, and decorate them with M&M’s and chocolate chips before baking. Wickedly moist brownies all baked from scratch. When they come out of the oven, kids make their own brownie sundaes with ice cream, whipped cream, sprinkles and chocolate sauce…awesome! I think we dirty every dish in the kitchen for this one! Best for older children 8 and up. We mix the dough, cinnamon filling and icing all from scratch. You’ve never smelled or tasted anything like these – the absolute best!!! Vanilla cupcakes topped with colorful icing and decorated with marshmallow daisies. Kids get to use electric hand mixers for this one. Did you know you can microwave caramels and mold it like play dough? This party is really fun. Kids bake vanilla cupcakes from scratch then decorate them with a variety of candies and colorful icing. Kids always amaze me with their creativity on this one. Kids have made everything from Sponge Bob characters to “Bears on the Beach” scenes! A favorite for sure. I was interested in the kids party limos. 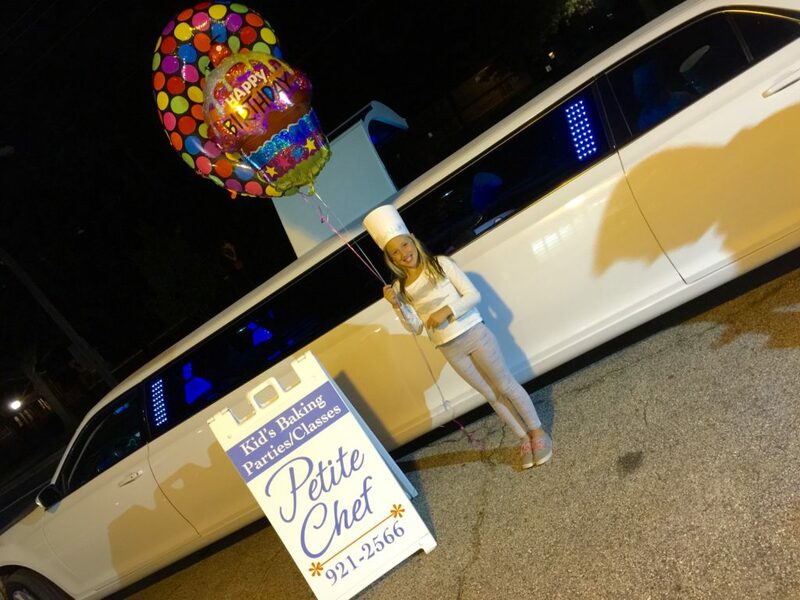 I was looking at a 10-14 passenger but wanted to take the kids to several different places not launch or petite chef. I was thinking, a pizza place, laser tag, ice cream shop ect. Is this possible? Thank you. Of course this is possible! That is just one of the many ideas out there. Please give the office a call. 401-619-3000 Let them know you talked to Michaelah and I sent you to them. Look forward to working with you! A little confuse on the party bus. So they go to the kitchen to cook? And the choices of what to make is extra? Yes. Depending on which item you choose to cook, is extra to the price listed for the bus.